On these days, the fishing license requirement is waived for all recreational anglers, including both residents and non-residents. Baker County Tax Collector's Office announces New Option to Apply for and Renew Concealed Weapon Licenses. 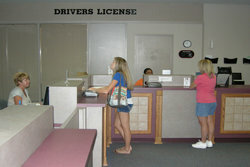 You are now able to apply for your statewide concealed weapon license permit at the Baker County Tax Collectors Office. We are also able to process same day renewals. About the Tax Collector's Office In Florida, Tax Collectors are independent constitutional officers duly elected from their counties of residence by their fellow citizens and taxpayers. 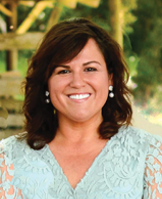 It is this independence coupled with the fact that Tax Collectors deal with a variety of duties and responsibilities and provide a myriad of important public services, that allows them to exercise valuable leadership roles in Florida's government. They direct, plan, organize, budget, set and implement policies which affect not only their governments, but reach the state level as well. Along with their own local involvement in personnel and financial management matters, Tax Collectors participate in the management of the executive branches of state government which include the Florida Fish and Wildlife Conservation Commission, Department of Highway Safety and Motor Vehicles, and Department of Revenue. It is the Tax Collector who sees all these departments as a whole and, consequently, is able to coordinate and analyze the impact they have collectively. Staff members from various departments of state along with state legislatures should and do draw heavily on the broad base of knowledge accumulated by the Tax Collectors in drafting tax legislation and establishing rules and regulations for carrying out laws regarding the collection of taxes. 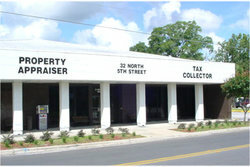 The elected county office of Tax Collector in Florida was established in the 1885 state constitution based on the ideas that local taxes could best be collected at the local level and, by being an elected office, the Tax Collector would be more responsible to the needs of the community from which he was elected. 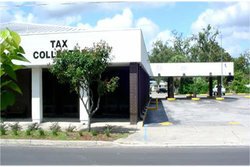 In most counties the Tax Collector is responsible for not only the collection of valorem taxes, which is the single largest tax collected in Florida, but also for the collection of other taxes at the local level such as occupational license taxes, taxes imposed by special levying districts and also taxes imposed by state agencies.